Journal | Inventing Earth | Art. Science. Culture. 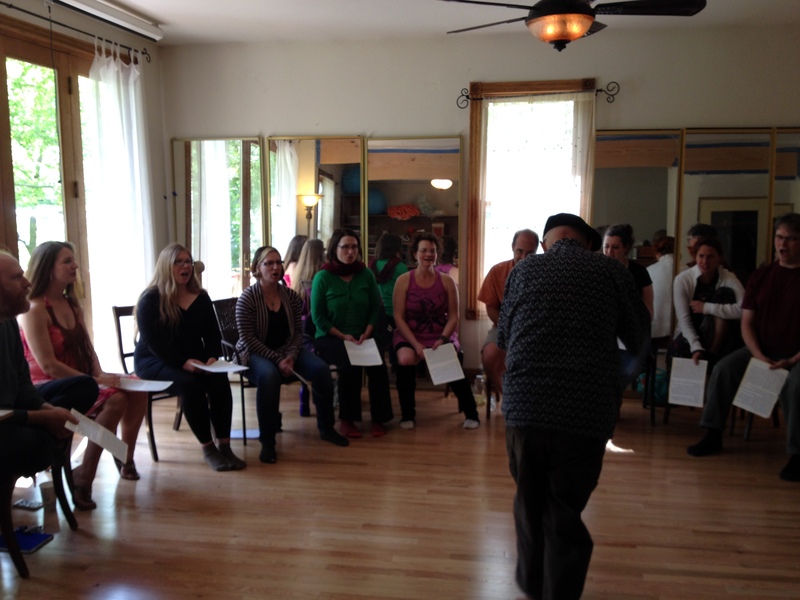 Inventing Earth is proud to present a workshop series, “Singing the Neumes of Hildegard,” in Boulder Colorado August 2-3, 2014, led by vocalist and harpist Amy Green. Amy brings her training and experience in performing medieval music to Boulder where she will lead experienced musicians and chant aficionados in singing the music of Hildegard von Bingen, a 12th century mystic, physician, poet, and composer. Originally from the San Francisco Bay Area, she moved to Europe on an Alfred Herz Fellowship and now resides in Berlin, Germany. She received a degree in historical vocal performance from the German State Music Conservatory in Trossingen, Germany. Through many years of practical research Ms. Green performs medieval song from original notation forms such as neumes, or the earliest forms of western polyphony from original manuscript sources. She is a member of medieval vocal ensembles Vox Nostra, Elysium, and Diadema, as well as collaborates with medieval music ensembles such as Alta Musica, Ordo Virtutuum, Sarband, and Collage. 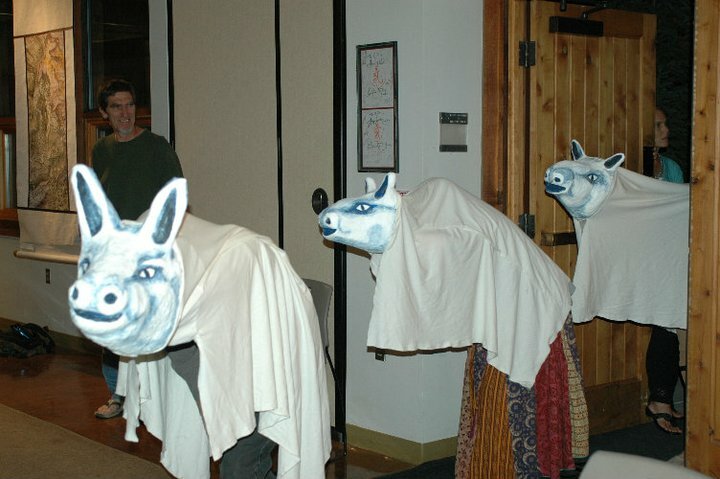 Through this activity, she has performed medieval music in diverse theatrical contexts such as with the collaboration with the Iranian performance artist Sharam Entekhabi, the Ordo Virtutuum of Hildegard of Bingen and other passion plays, as well as a dance production of the choreographer Sidi Larbi Cherchaoi. She explored the integration of Arabic singing techniques in medieval song repertoire through the collaboration and study with the Syrian oud player, Fahran Sabbagh, and the vocal interpretation of Hildegard of Bingen with Barbara Thornton. 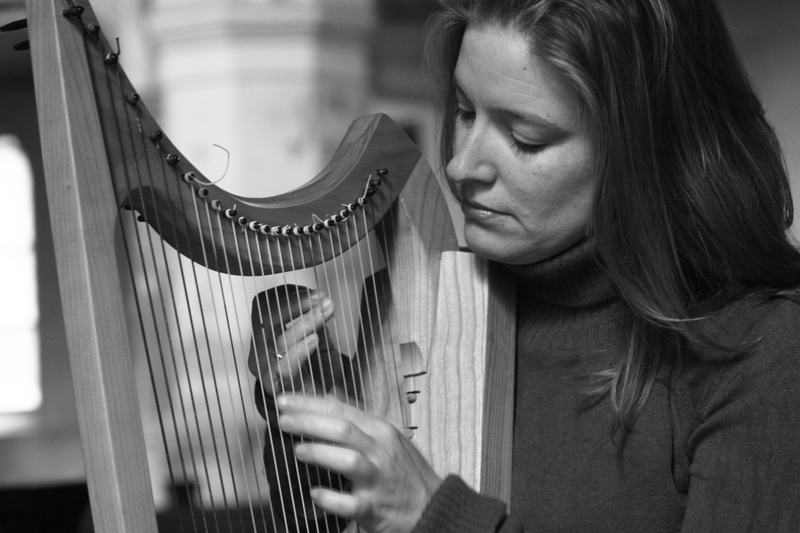 In addition, Ms. Green performs solo medieval song programs with self-accompanyment on the harp. In addition to her degree in historical performance, Ms. Green also received a BA in Environmental Science from University of California Berkeley and a MSc. in urban ecosystem science from the University of Technology in Berlin, Germany. 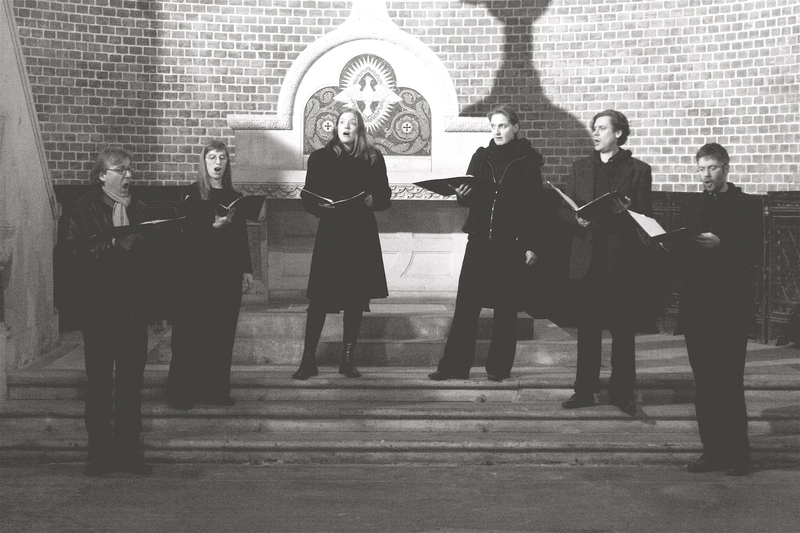 Vox Nostra, a vocal ensemble based in Berlin; Amy Green is third from left.